These signs can be due to allergies, parasites, infections, hormone imbalances, or immune system abnormalities. Our doctors offer a systematic, knowledgeable approach to diagnosing and treating skin and ear diseases and always use the safest, most effective medications for your pet. Allergies are a primary cause of many dermatologic conditions. 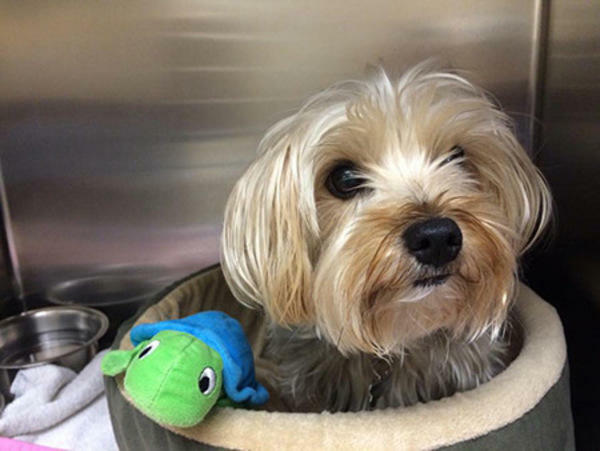 Animal Hospital of Irvine provides allergy testing and allergy management to give your pet relief and comfort. 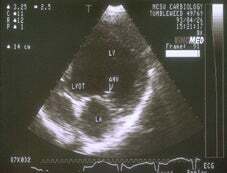 An ultrasound uses high-frequency sound waves to produce a detailed moving image of a pet’s internal organs. 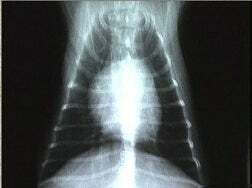 It is often performed as a complement to x-rays. Ultrasound is a painless procedure that does not require anesthesia or sedation in most cases. It is especially helpful to evaluate heart disease and better visualize the abdominal cavity. Radiographs (i.e. x-rays) can demonstrate broken bones, potentially detect foreign bodies (e.g. toys, bones) in a pet’s stomach or intestines, or evaluate the size and shape of organs such as the heart and lungs. This procedure can be done quickly and comfortably at our clinic. Digital images are assessed immediately by the doctors. 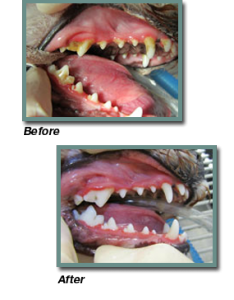 Does your pet have bad breath, reddened gums, and/or discolored teeth? These are all common signs of dental disease in animals. Because most pets do not undergo daily tooth brushing, soft plaque easily accumulates and hardens into tartar. The gums become inflamed, a condition called gingivitis, and periodontal disease can develop, leading to gum recession, looseness of teeth, and tooth root abscesses. If left untreated, infection can then spread to other parts of the body such as the kidneys and liver. All pets should be examined annually by a veterinarian who can check for signs of dental disease and determine if a dental cleaning is needed. Thorough cleaning of a pet’s teeth requires general anesthesia. 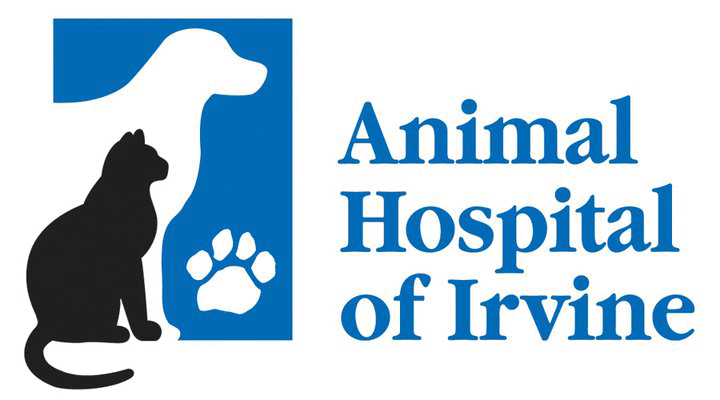 At Animal Hospital of Irvine all animals undergoing a dental cleaning receive pre-anesthetic bloodwork, an intravenous (IV) catheter and intravenous fluids, an antibiotic injection, a short-acting inhalant anesthetic, and pain medication (if needed) to minimize risk and maximize comfort. Advanced technology such as EKG, pulse oximeters, blood pressure monitors, and respiratory capnographs are used to measure your pet’s vital signs. A high-tech Bair hugger heating system safely and effectively keeps your pet warm during and after the procedure. 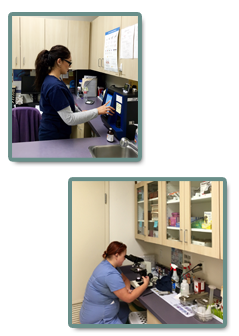 Throughout the dental cleaning, a specially trained veterinary technician is present to assist and closely monitor your pet. An ultrasonic scaler is used to remove plaque and tartar and careful attention is paid to each tooth both above and below the gum line. Each individual tooth is also examined closely for gum recession, loosening, discoloration, enamel wear, and fractures. The teeth are then polished and given a fluoride treatment to protect the enamel surface. If x-rays and/or extractions are needed, the doctor will contact you and discuss recommendations and costs of more extensive dental work. With every dental procedure at Animal Hospital of Irvine, the pet goes home with a complimentary toothbrush and toothpaste. Owners are also instructed on the various aspects of home dental care. Regular brushing is most effective at preventing plaque and tartar buildup. In addition, there are edible treats for both dogs and cats that help break down the bacteria which cause periodontal disease. Please feel free to inquire about the various components of successful dental care for your pet. Send a New Client our way and receive 1 FREE Exam!